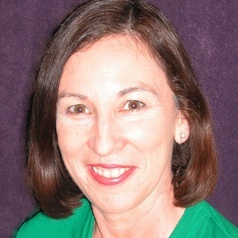 Ann Gervasoni is Associate Professor, Numeracy at Monash University's Clayton Campus. Previously, Ann worked in primary schools for 13 years as a classroom teacher and administrator. She was a mathematics consultant with the Catholic Education Office Melbourne, and a Senior Lecturer in Mathematics Education at Australian Catholic University. Ann was a member of the research team for the Victorian-based Early Numeracy Research Project (1999-2001), and Research Director of the Bridging the Numeracy Gap in Low SES and Indigenous Communities Project funded by DWEER (2009-2011). She is currently leading two research projects focused on the mathematics learning of 3-5 year-old children in family contexts - Let's Count funded by The Smith Family and Numeracy@Home funded by the Australian Council of Research. Ann's PhD research focused on enhancing learning for children who are vulnerable in learning mathematics. She developed the research-based Extending Mathematical Understanding Intervention Program which is used across three states in Australia. She also works with NSW School Principals and Mathematics Leaders across 150 schools engaged in a project focusing on system-wide reform of mathematics learning and teaching. Ann has been involved in several community engagement projects. She introduced and co-ordinated the Ballarat Clemente Program for adults who are marginalised and initiated several Maths Clubs for low SES communities in Ballarat. Ann was awarded an Australian Learning and Teaching Council Citation in 2009 for Outstanding Contribution to Student Learning, the 2008 Australian Catholic University Vice-Chancellor's Staff Award for Outstanding Community Engagement, and the 2011 Mathematics Education Group of Australasia's Research Award as part of the Early Numeracy Research Project Team. Ann was a visiting scholar at Aarhus University, Denmark in 2013 and Bielefeld University Germany in 2014.